Add a little something special? Along with your cherished registration, you can gift quirky personalised cufflinks or a copy of our fascinating book on British plates, to make the occasion even more memorable. 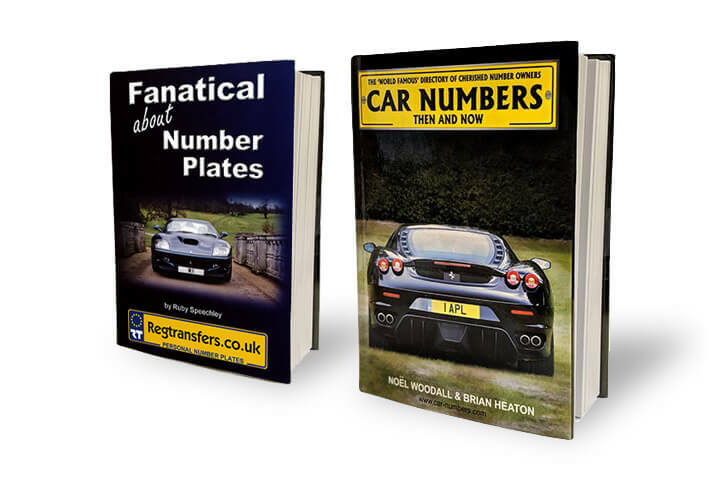 Our selection of number plate books has been written by some of the UK's leading autonumerology specialists, including Regtransfers' own team of expert writers. Topics covered include celebrity plates, history of UK car registrations and more. Our quality cufflinks are the ideal gift for any occasion and make wonderful wedding, anniversary and birthday presents. They can be personalised using up to 10 characters (including spaces) to create that dream registration, name, set of initials or special date.